"1776, or The Hessian Renegades" is a short war drama. The film is included in our program to illustrate the work of our stars Billy Bitzer, Arthur V. Johnson and Robert Harron. Billy Bitzer shares the cinematography credit with Arthur Marvin. Arthur V. Johnson plays a Hessian and Robert Harron plays a farmer. The Hessians were German soldiers in service with the British during the American War of Independence. In the film a group of Hessians chases a revolutionary courier carrying an important message to George Washington. Owen Moore is the revolutionary messenger in "1776, or The Hessian Renegades" (1909) directed by D. W. Griffith. 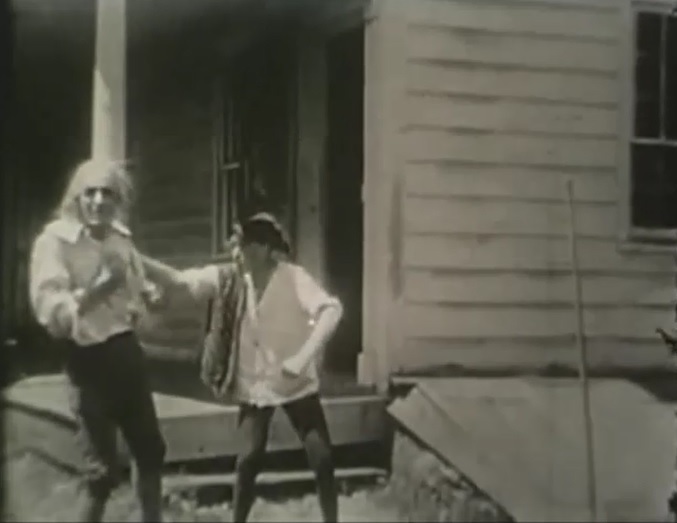 Arthur V. Johnson is a Hessian giving chase in "1776, or The Hessian Renegades" (1909) directed by D. W. Griffith. 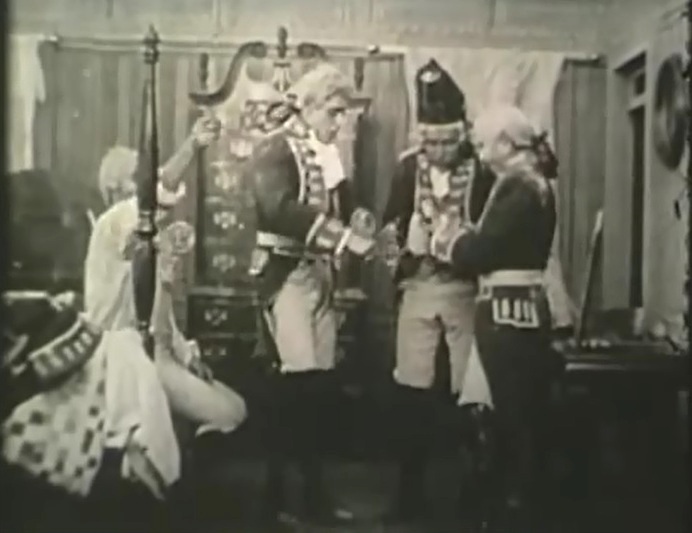 The Hessians search the home of Kate Bruce and James Kirkwood in "1776, or The Hessian Renegades" (1909) directed by D. W. Griffith. 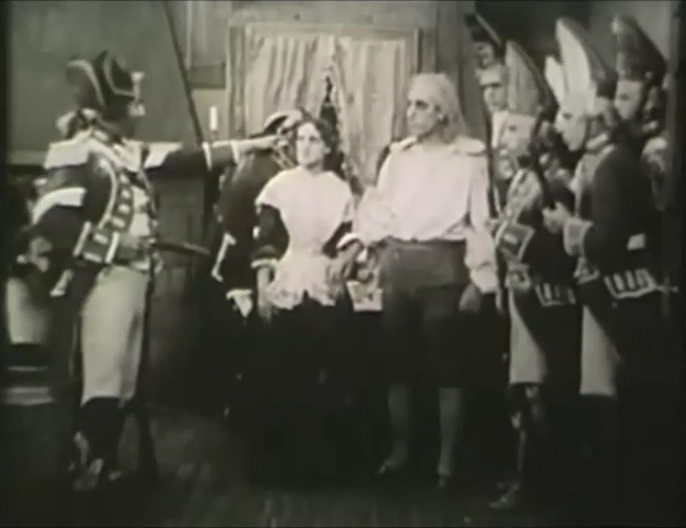 Arthur V. Johnson looks on as Mary Pickford says 'there is nobody here' in "1776, or The Hessian Renegades" (1909) directed by D. W. Griffith. Mary Pickford seduces the Hessian guard in "1776, or The Hessian Renegades" (1909) directed by D. W. Griffith. Arthur V. Johnson shares a drink with Mack Sennett in "1776, or The Hessian Renegades" (1909) directed by D. W. Griffith. 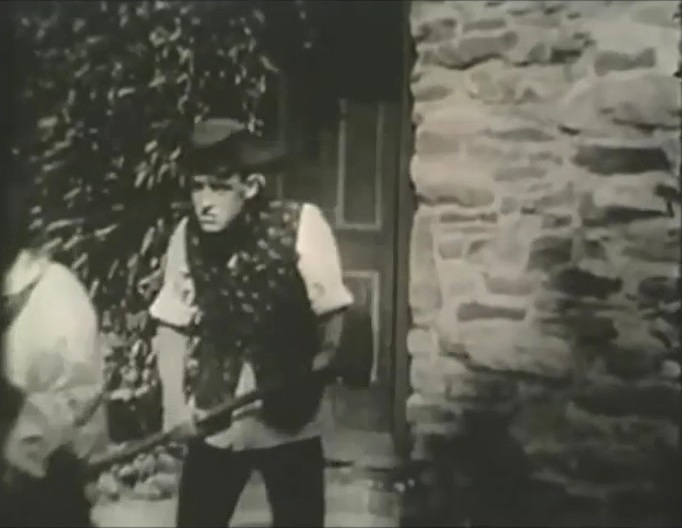 James Kirkwood mobilizes the farmers for a fight, starting with Robert Harron in "1776, or The Hessian Renegades" (1909) directed by D. W. Griffith. James Kirkwood looks on as Robert Harron shows his weapon in "1776, or The Hessian Renegades" (1909) directed by D. W. Griffith. 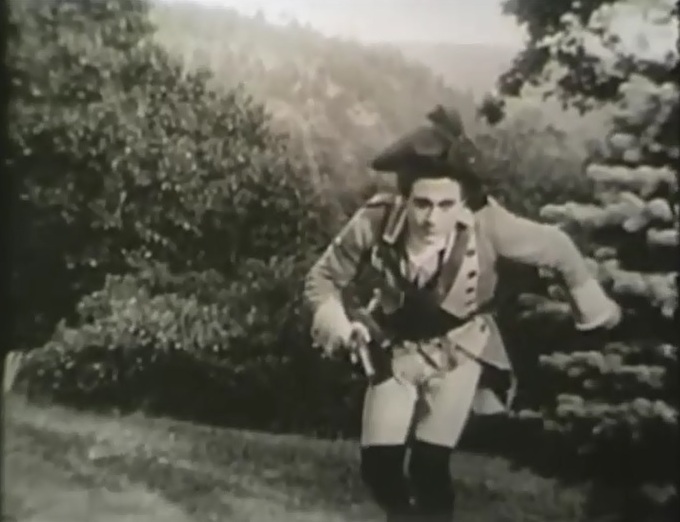 Robert Harron is ready for a fight in "1776, or The Hessian Renegades" (1909) directed by D. W. Griffith.